THE GOVERNMENT HAS been accused of being complacent over its tax regime in the wake of news that the European Commission is probing Ireland’s tax arrangements with multinationals. Speaking today at government buildings the Taoiseach Enda Kenny was insistent that the OECD had confirmed that Ireland is not a tax haven and said that the country is willing to participate in measures to bring about a more transparent and accountable tax regime. But speaking a short time later at Leinster House, the Fianna Fáil finance spokesperson Michael McGrath accused the government of complacency over the issue said the investigation by the Commission proves the government is being complacent. “Clearly the proceedings at the parliamentary committees in the US and in the United Kingdom have been taken more seriously by the European authorities than they have been by our own government,” he said. McGrath said that the government needs to respond “robustly and decisively” in setting out that the corporation tax regime in Ireland, while attractive, is transparent. The Cork South Central TD said that assurances from the OECD that Ireland is not a tax haven were “clearly not sufficient” as the Commission is now examining the matter. “The allegation has been made that sweetheart deals have been done,” he said adding that the government needs to “strongly refute those allegations”. Earlier, the Department of Finance played down the Commission decision pointing out that it is being asked to provide information on tax matters and that other countries, such as Luxembourg and the Netherlands, have been asked for similar information. Ireland does not do special tax rate deals with companies while the country “operates an open, transparent and statute based taxation system”, the Department insisted. Email “Taoiseach: OECD says we're not a tax haven, FF: You're being complacent ”. 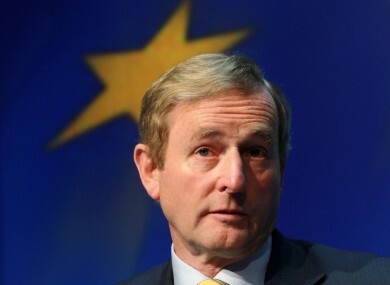 Feedback on “Taoiseach: OECD says we're not a tax haven, FF: You're being complacent ”.